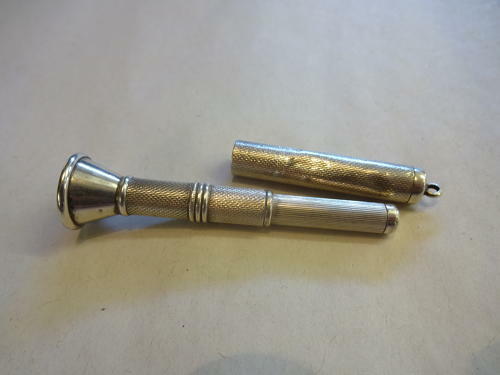 Great Solid Silver Cigar Piercer. Hallmarked Birmingham 1962 by Maker William Morton. In Perfect Working Condition with hanging ring. Measures 7cms long, 1.5cms in diameter. Small dings & dents commensurate with its age & use.